Store bought paneer is a big NO these days due to adulteration, and preservatives being added to increase it’s shelf life. There is nothing like fresh homemade Paneer. 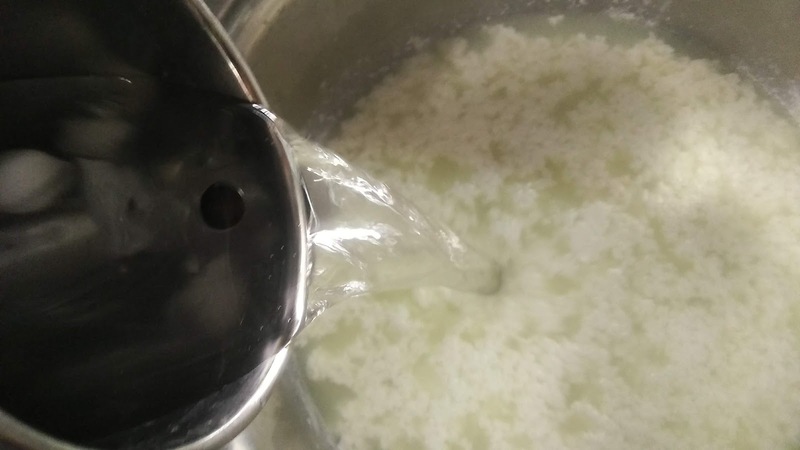 This recipe is very very simple, quick to make which will result in no fail soft homemade paneer. Only make sure to use ice-cold water and before wrapping it under heavy weight make sure that the paneer is not hot. It should be cold or at room temperature before setting. That’s it and you will have super soft paneer. 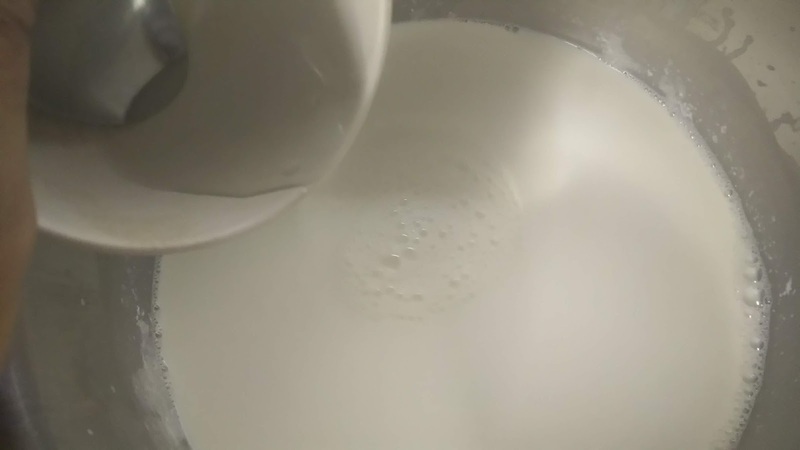 I recommend to use whole fat milk, in case it’s not available, add 200ml fresh cream (Amul cream) before boiling it and continue with the same steps. I used citric acid for best result, you can use vinegar or lemon juice. Take 1/3 cup water and dissolve citric acid in it. Just add in water and keep aside for 20-25 minutes, if any granules are settled down, mix with spoon. Bring milk to boil, reduce the flame to low and then simmer for 5 minutes. Turn off the flame. Add 1/2 cup of ice-cold water to it, to bring the milk temperature down. Mix well. After 30 seconds add citric acid water in 3-4 batches mixing in between. 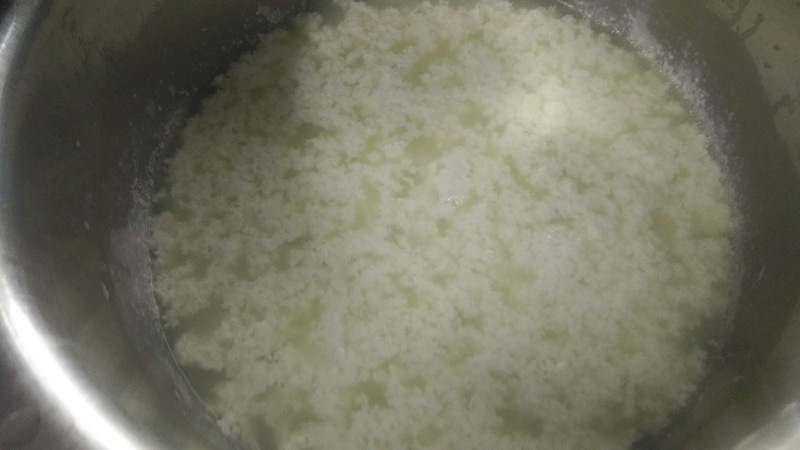 Once milk curdle and whey separates immediately add ice-cold water in it (around 500ml). Here it’s very important to cool down paneer. 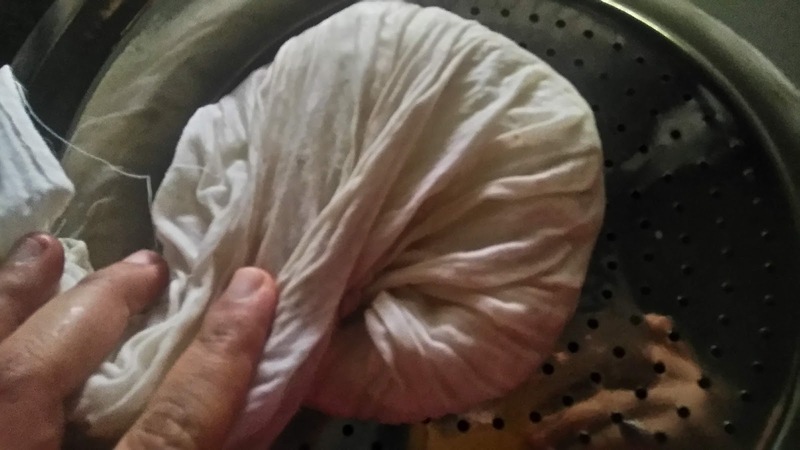 Strain in muslin cloth, wash with ice-cold water and squeeze out the water. 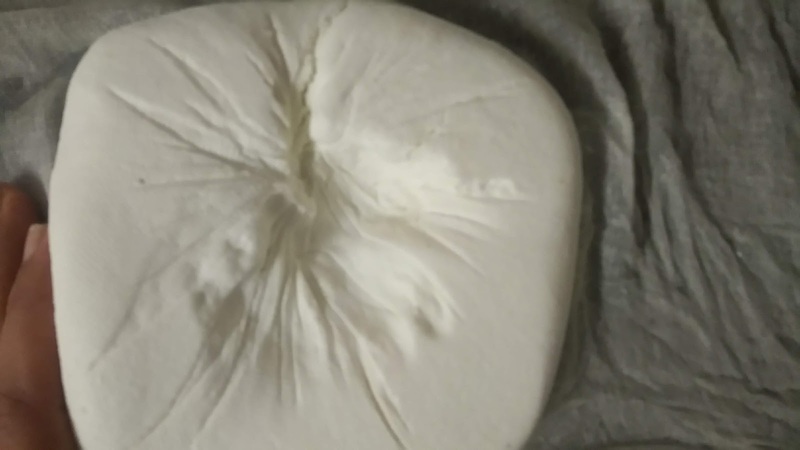 Before wrapping in cloth make sure paneer is not at all hot, else it will be hard. 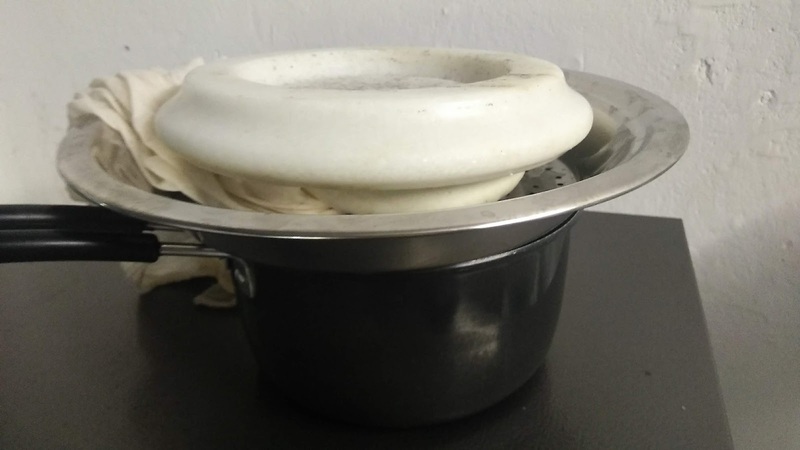 Now keep this cloth in perforated bowl or plate and keep heavy weight over it, enough weight that can squeeze out the water and can help in holding the shape. I used chakla (rolling board) which is made of marble and is very heavy. Underneath keep a pan which can collect the water. Keep this aside for 2-3 hours.If after 2 hours you feel it’s still moist keep for another 1-2 hour. 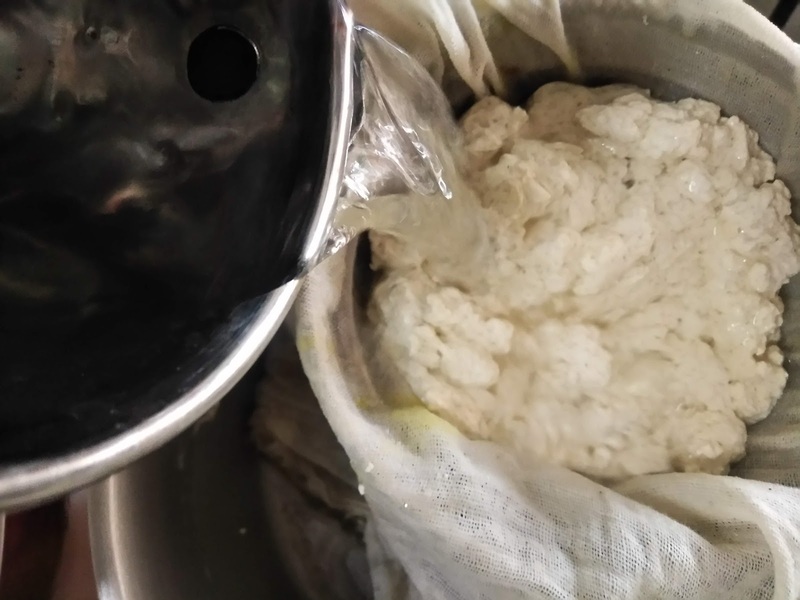 Remove the cloth and enjoy this super soft malai homemade paneer. 1. 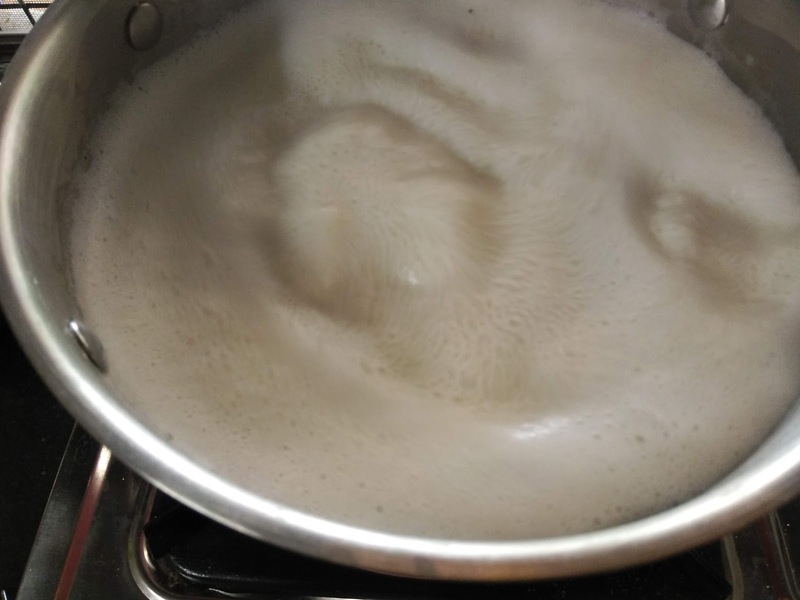 Bring milk to boil, turn off the flame, add 1/2 cup ice cold water and wait for 30 seconds. 2. Now add citric acid dissolved water little by little and keep mixing. 3. Once the milk is completely curdled. 4. Immediately add ice-cold water around 500ml. 5. Wash with ice-cold water. 8. Keep a dish under perforated plate/bowl and keep heavy weight over paneer. 10. 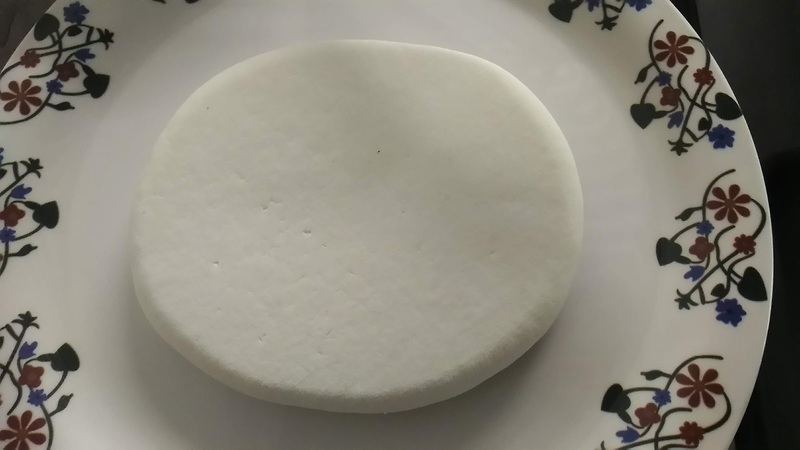 A perfect super soft homemade paneer. 14. 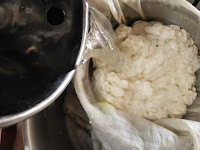 Closer look of soft homemade paneer.